In this project, we will demo how to synthesize color by separately controlling red, yellow and blue LEDs. 1. Install the Linker Base Shield to the pcDuino, and then install the linker cable as the following diagram. Note: Different ports are used to connect LEDs of different colors. 2. 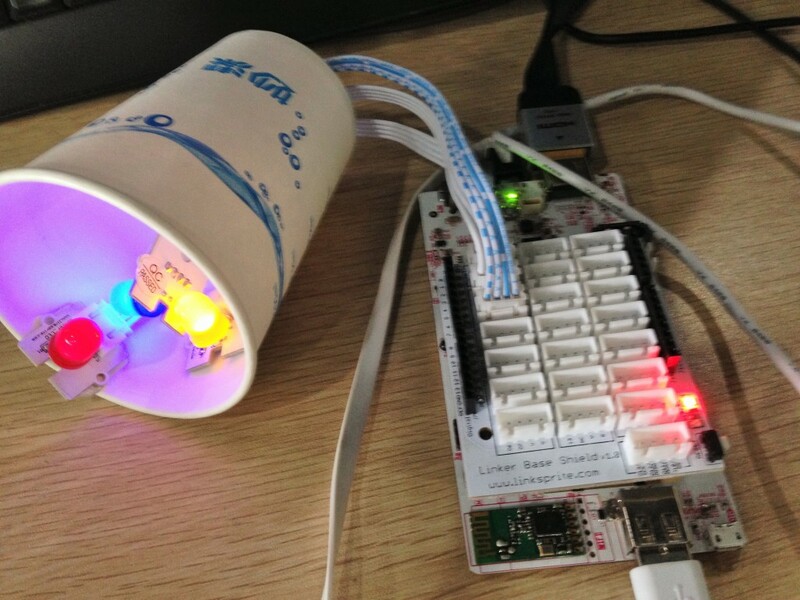 Dig a small hole at the bottom of the Cup, and then plug the three connectors on the other end through the small hole , then attach the corresponding color LED. Note: put the three lights together as closely as possible in order to show the bright and colorful results. 1. Click to draw the script.